This is such an easy recipe and is a lot better for you than normal fudge, although it is very rich! You just put all the ingredients in a pan and melt them all together on a low heat, mixing gently. Then, once it's all melted together, pour into a tin after lining it with baking paper. Pop it in the fridge for at least four hours, take it out, cut into small pieces and then store in the fridge! 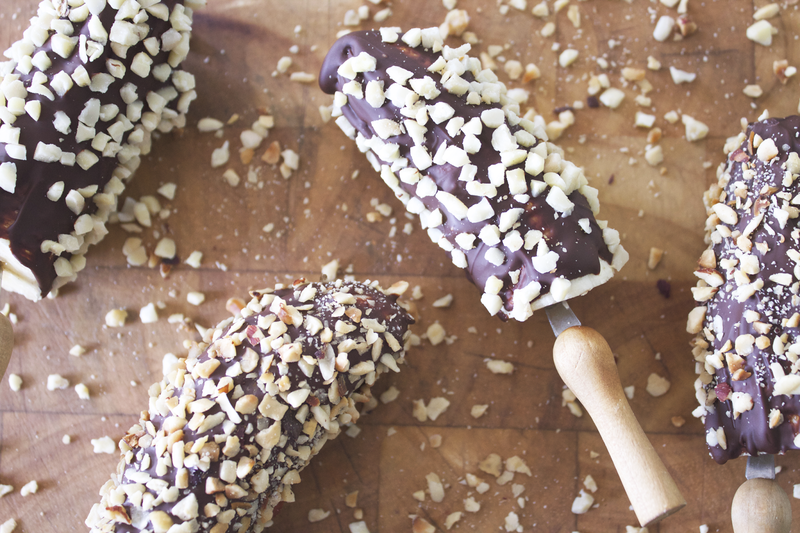 These are my favourite of the three, cut a banana in half and stick a lollypop stick or anything you can hold into the bottom of the banana, coat in dark chocolate (or milk/white if you're having a treat!) and then cover in nuts. I used almonds and hazelnuts but you could also use dried fruit! 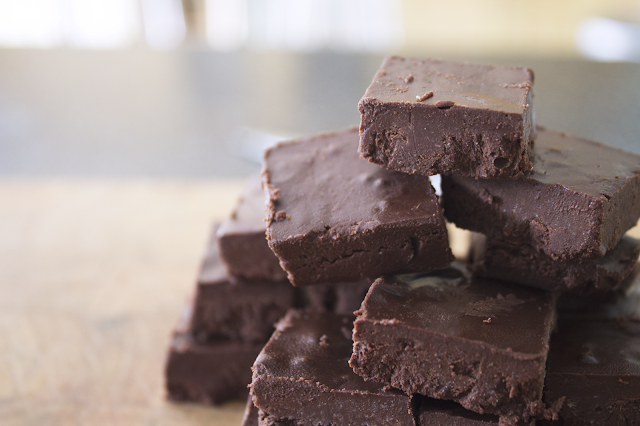 Put them in the fridge until the chocolate sets and then enjoy! 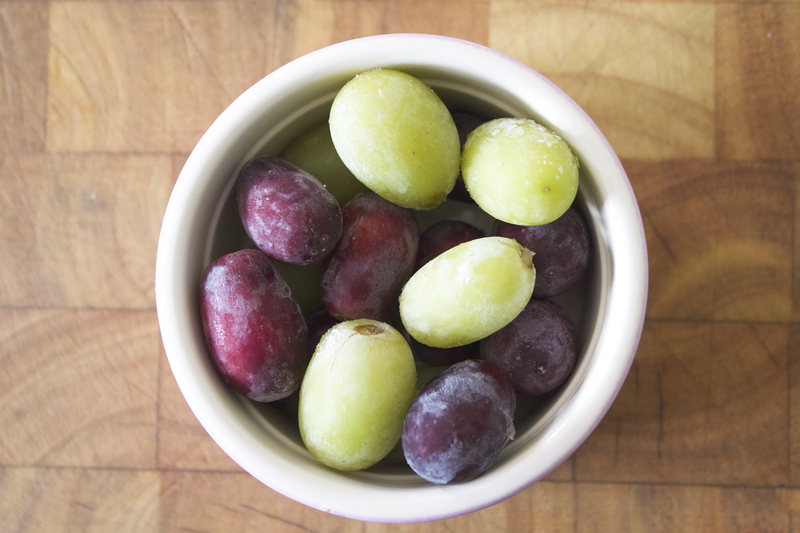 This is the simplest recipe, just put the grapes in a bag or bowl and put in the freezer, I usually do them overnight just to make sure they are fully frozen! This is great if you are craving sugar as they are healthy but still sweet! 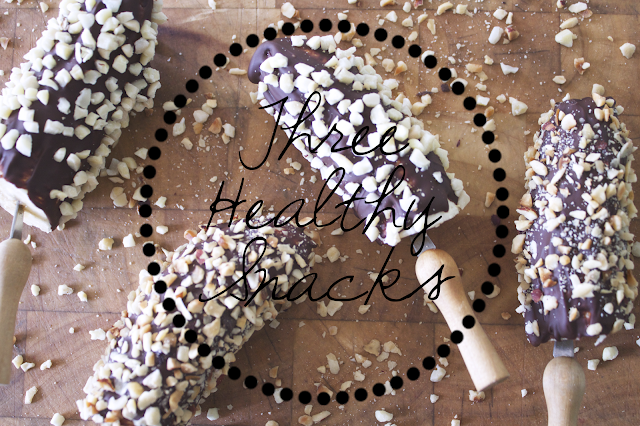 Do you have any recommendations for yummy healthy snacks? I need to try these!! Look so yummy!